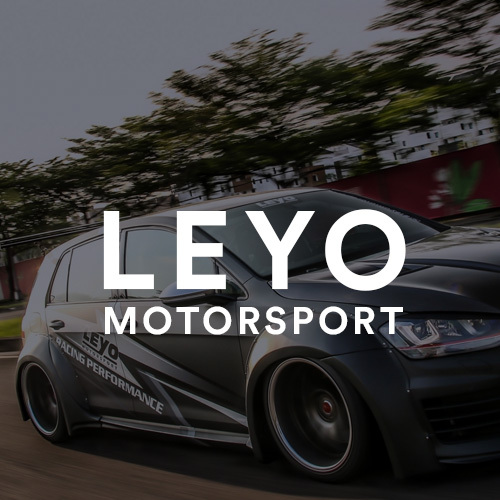 You’ve seen the dyno charts showing how much more power the BMS open air filters make. You’ve watched the videos showing how much better they sound. You’ve read the hundreds of favourable customer reviews. And, after all that, you still prefer a high flow drop in filter? Worry not, BMS has got you covered! Introducing the drop in filter, offering quick installation and the best flow of any available drop in filter. We can’t promise the same power gains or sound you’ll get from our open element intakes, but we can promise this will significantly outflow your paper filter and is extremely easy to install and remove. Plus it can be cleaned and reused for up to 1,000,000 miles. 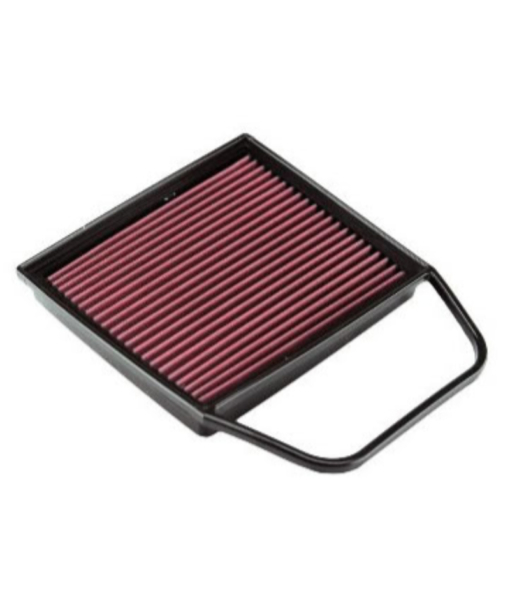 K&N’s replacement high flow air filters for BMW are designed to increase horsepower and acceleration while providing excellent filtration. These filters are washable and reusable and are custom designed to fit into your existing factory air box. Their drop-in design means adding performance is simple. To install simply remove the disposable air filter and replace it with a K&N. Four to six sheets of pleated and oiled cotton-gauze are layered between two sheets of aluminium wire mesh. 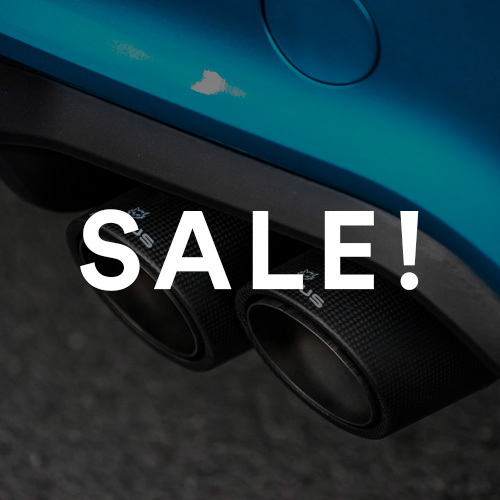 This proven design stops dirt, dust and other harmful particles like no other filter, all while clean, power-enhancing air flows freely to your engine. 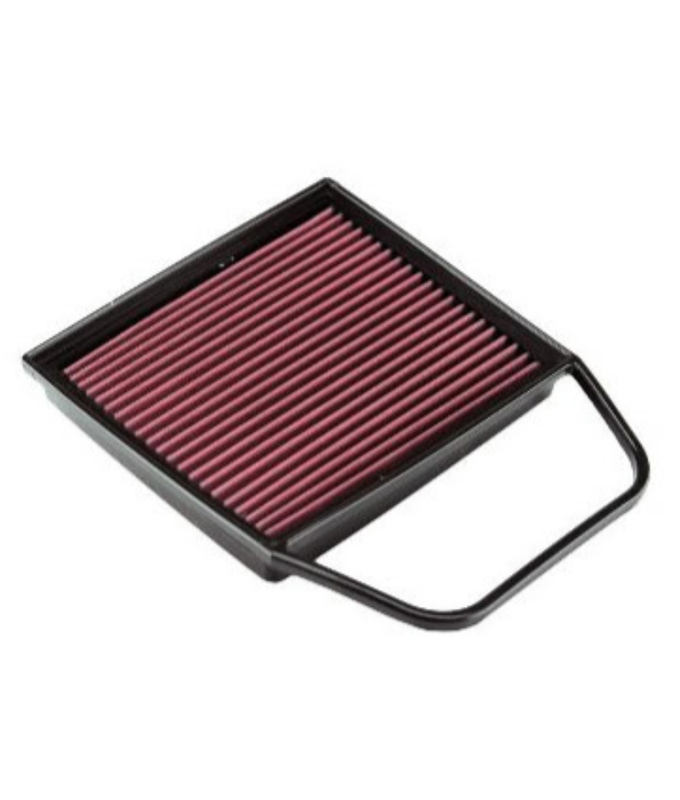 Just give it a simple cleaning every 50,000 miles and your K&N filter will last for the life of your vehicle. With no costly replacing filters or services, your K&N filter will save you money. And, you’ll be helping the environment by reducing the number of disposable air filters that end up in landfill.